If you're on the hunt for a designer clutch, you head to Beverly Hills. This year's Coachella wardrobe? You hit up Melrose. But where in the horizontal expanse of LA do you go to cultivate a unique signature style you can rock anywhere? You know Echo Park for top-notch coffee and great indie music venues. But think of the sharpest dresser you know, or the person with the coolest apartment; odds are they shop in Echo Park. 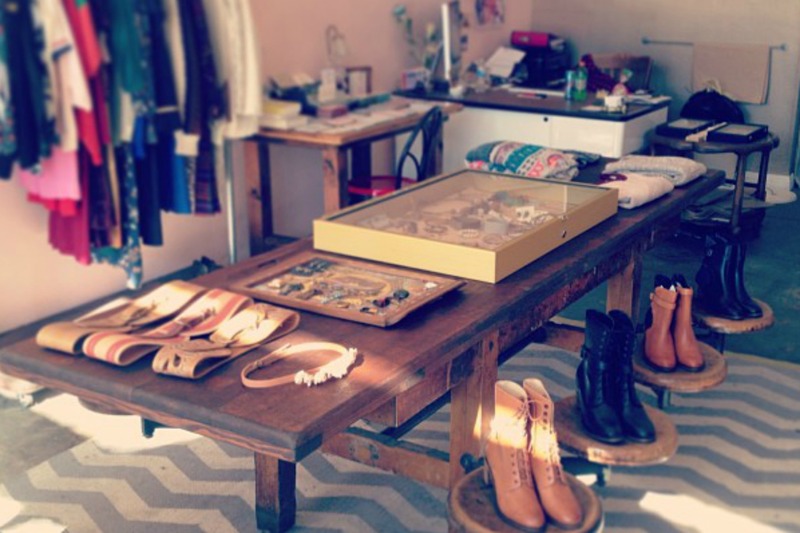 Here, we show you where to go for the best vintage wares, locally crafted goods and Instagram-worthy oddities, all to be found between the 101 and the 5. 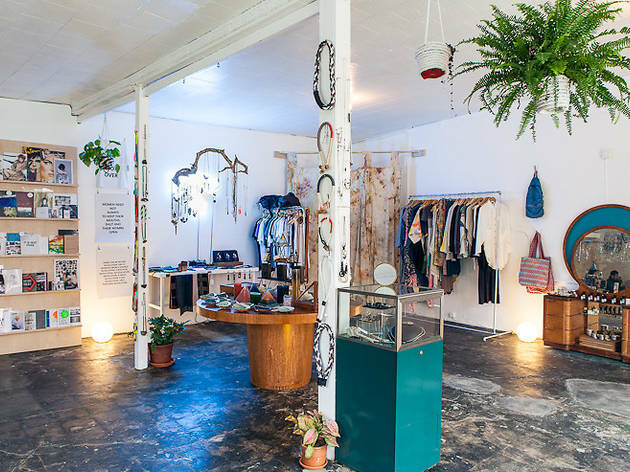 LA local Whitney Bickers takes the helm at this Echo Park womenswear boutique, which features a bevy of female designers. 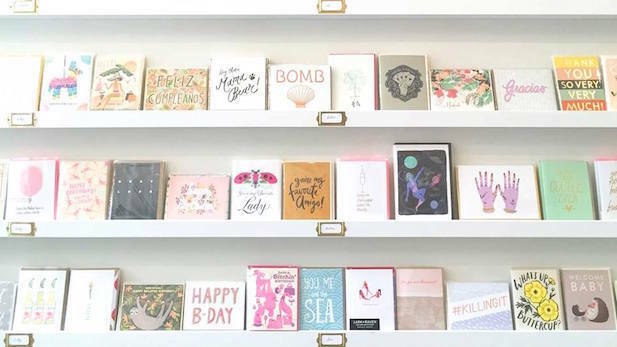 Myrtle's hand-picked collection (think: Ten Over Six meets Anthropologie) includes everything from vegan lip balms and bridal gowns to silk baseball tees and vintage jewelry, all beautifully crafted by more than fifty makers from all over the world. Some of our favorite picks: printed canvas pouches from Maptote, '90s inspired prints from Dusen Dusen and silk satin graphic dresses from Samantha Pleet. 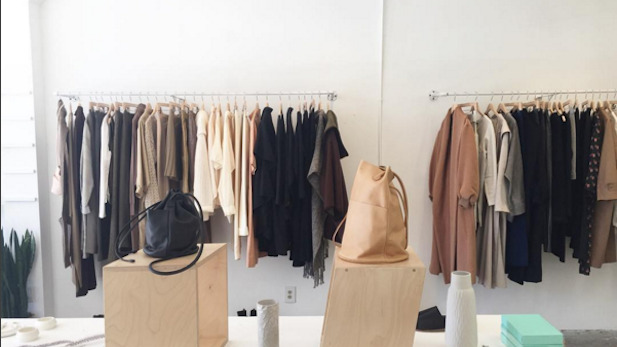 Tip: Follow the shop's Instagram for new arrivals and to stalk their style. 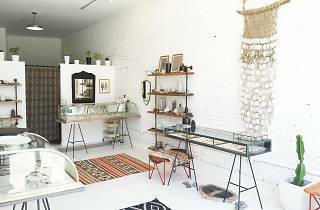 The pieces at this Echo Park store—the LA outpost of Esqueleto Oakland in Temescal Alley—are artfully arrayed among cacti, ceramics, sharks’ teeth and cattle skulls (esqueleto is Spanish for "skeleton," after all). Though the space is loosely inspired by the Southwest, the jewelry and accessories are thoroughly modern, from marcasite earrings by Melissa Joy Manning to statement wall hangings by Heather Levine. 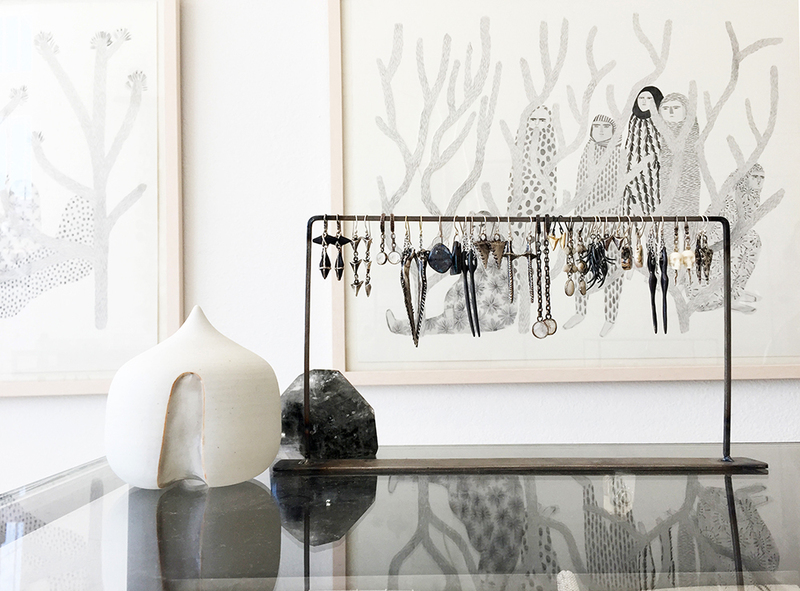 You'll find a mix of dainty and bold styles here, such as Satomi Kawakita’s miniature yellow gold studs and slender engagement bands or owner Lauren Wolf’s eye-catching claw rings showcasing sapphire, ruby and agate. 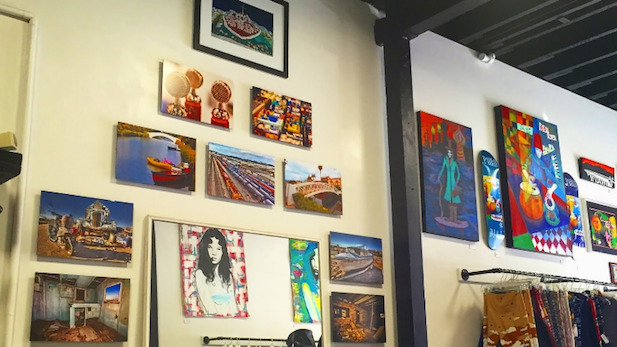 Local artists are showcased bi-monthly—from screenprinters to ceramicists—making the shop a great place to keep tabs on LA's artistic community. 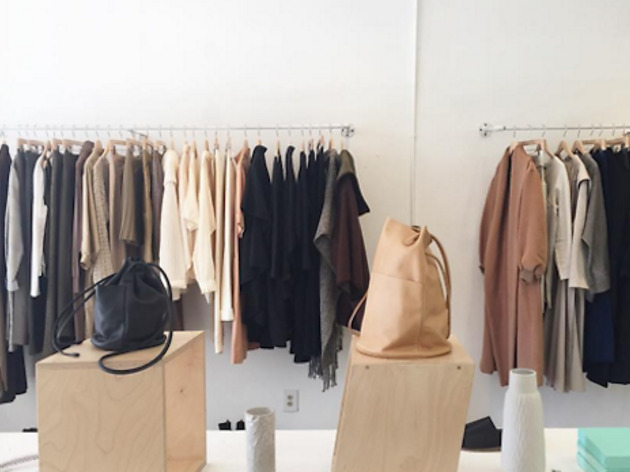 This Echo Park outpost of Oakland's Temescal Alley locale offers simple and sophisticated womenswear, all designed and produced in California. 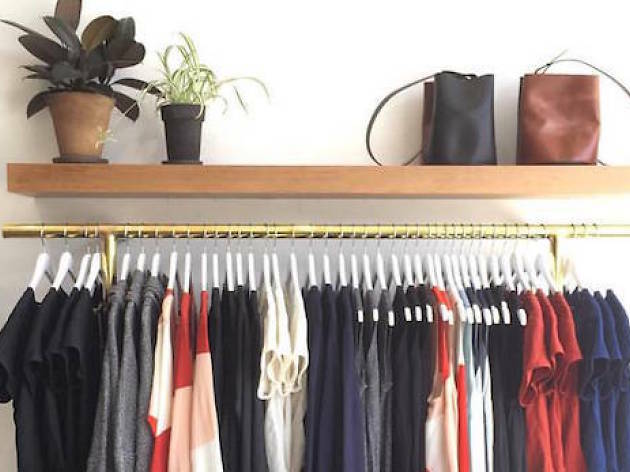 Leather satchels, wool sweater coats and colorblock shift dresses are just a few of the trendy (but not too trendy) wares to be found in the streamlined, white-and-wood boutique. 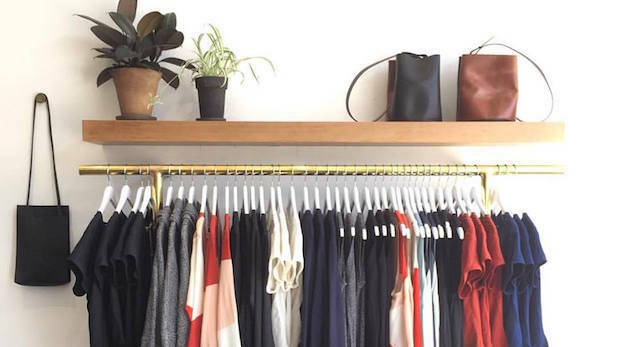 Located just next to door to fellow Oakland transplant, jewelry shop Esqueleto, Ali Golden is the place to stock your entire wardrobe with classy Bay Area-style basics without having to leave this small stretch of Sunset Boulevard. 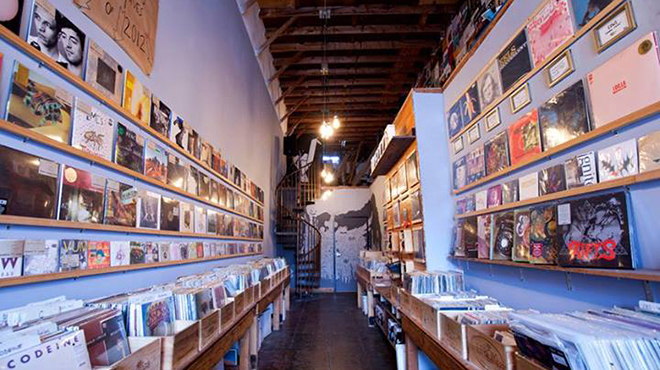 This record shop, music label and community fixture is a thin sliver of brick-and-mortar awesome. It's open every day and hosts at least one or two in-store shows per week, often with free pizza from Two Boots next door. Origami also hosts Record Club on Tuesdays at El Prado across the street, where vinyl collectors can bring in an album to be played at the bar in return for a free drink. Origami's involvement doesn't stop there—they're hugely active in events such as Record Store Day, as well as local fests like FYF, Echo Park Rising and Culture Collide, hosting bands and sidewalk sales. And the folks behind the counter are just the right type of music snob—they know their stuff and can help you find what you're looking for, but won't make you feel like a loser for not knowing as much as they do (and trust us, you don't). They're genuinely happy to be there and want to share their excitement and knowledge with you, which means every time you go in you'll see a friendly face, learn something new and walk out with some great tunes. 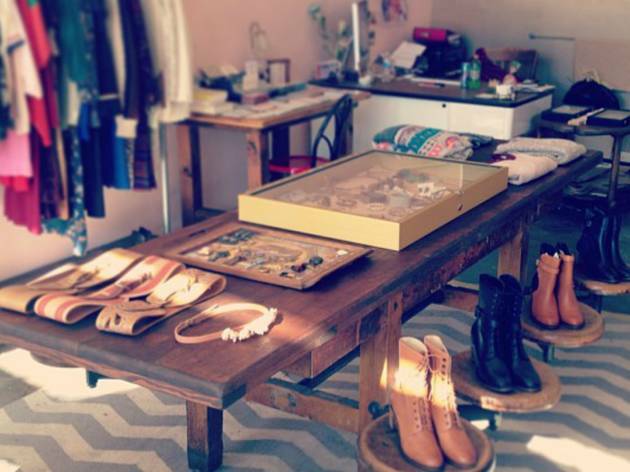 Burrowed between Echo Park's Mohawk Bend and iam8bit gallery sits this chicly arranged womenswear boutique—your new go-to for high-rise denim, trench coats and cable-knit sweaters. The clean, neutral-colored clothing and accessories, back-dropped by white exposed brick walls, appear to be part of a cohesive original collection—but 90 percent of the boutique's stash is actually carefully curated vintage. After assembling an au courant wardrobe of quilted jackets and '90s jeans, swing past the shop's apothecary section to stock your beauty stash with toner and face oil from indie brands like Earth tu Face. 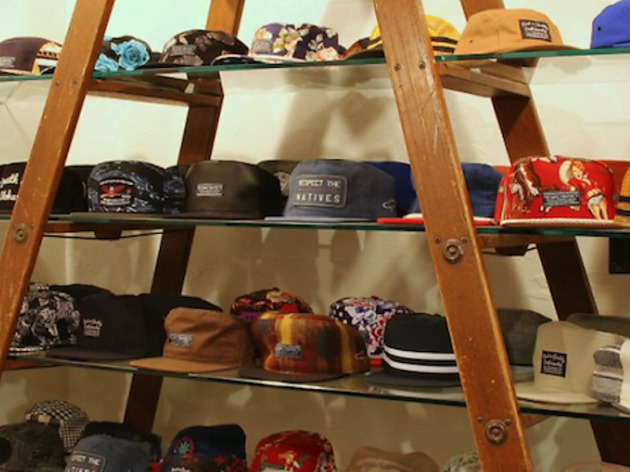 Hats are the main game at this rustic Echo Park menswear shop. 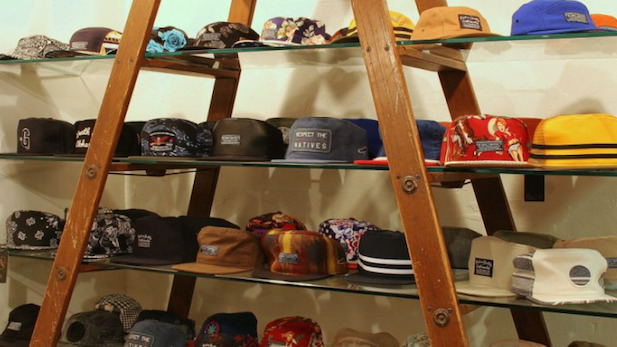 Find well-crafted snapbacks, 5-panels, beanies and bucket hats, fashioned from unique prints and fabrics like leather and (dudely) paisley, and adorned with stylish handmade logos. Pick up a camo jacket, some white shades and a pair of desert-patterned socks to round out your collection of classic LA accessories. Suckers for pretty stationary don't stand a chance of exiting this charming pastel-saturated gift boutique without maxing out their bauble budget. Delicately printed throw pillows and photo frames are among the many irresistible trinkets to be found among the shop's signature collection of punny hand-drawn greeting cards (which offer messages like "Beach, Please" and "Merry Christmas Ya Filthy Animals"). 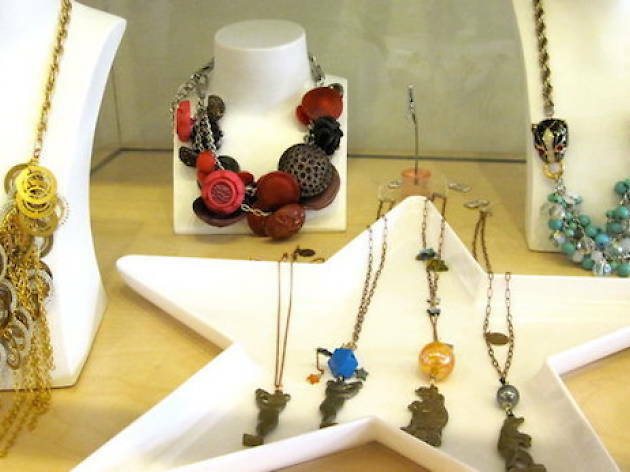 If you're in search of a birthday gift for your best friend, Hanukkah gift for grandma, no-reason gift for yourself or simply a colorful pick-me-up, swing by any day but Monday between 10am and 6pm. 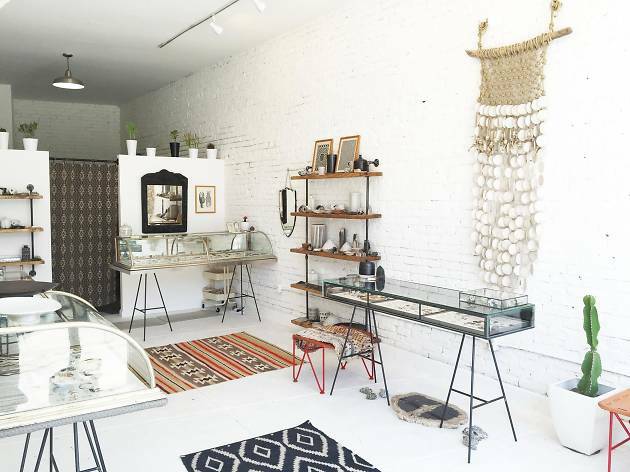 At this homey hybrid retail store, shop an eclectic selection of gifts and goods such as handmade jewelry, handbags, those "The Future Is Female" sweatshirts you've been seeing all over Instagram and more. 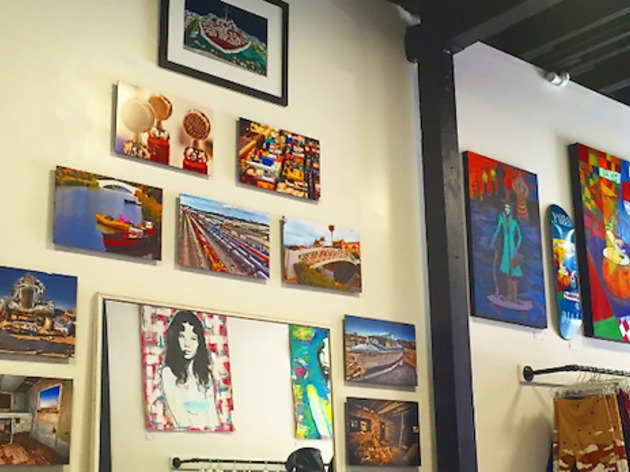 The store is curated to showcase works by local artists and designers, as well as to host comedy shows, classes and workshops such as candle dipping or tarot card reading. We can all agree that no Los Angeles apartment is fully decorated until a row of succulents adorns a windowsill or coffee table; they're the decorative cashew dish of the 21st century. But if your taste in desert plantlife leans a little more indie, hit up Echo Park's hottest (er, only) rare cactus emporium. 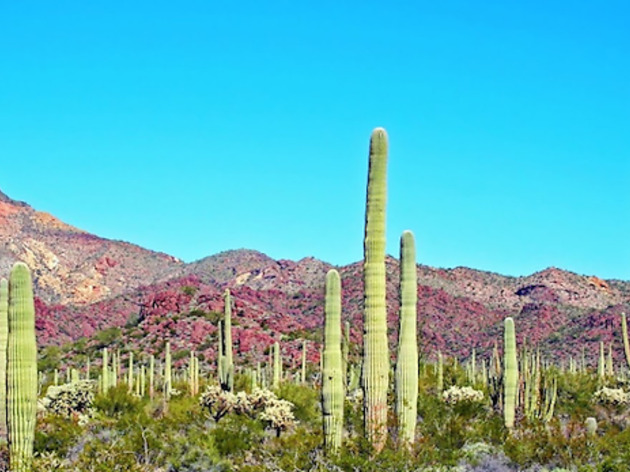 The 350-square-foot boutqiue specializes in unusual breeds of cacti too quirky for Pinterest, ranging from modest $25 varietals to near-thousand dollar conversation pieces. 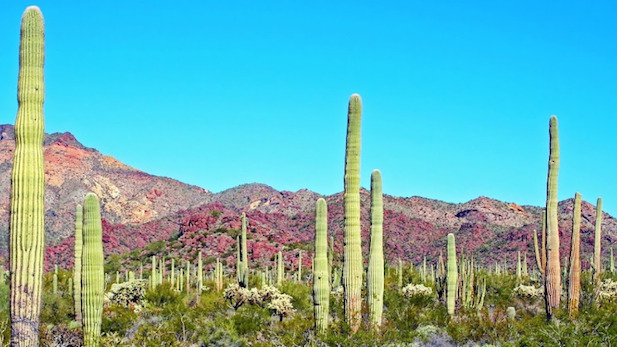 Whether or not you're in the market for a nine-foot Lophocereus schottii, the place is worth a window shop. 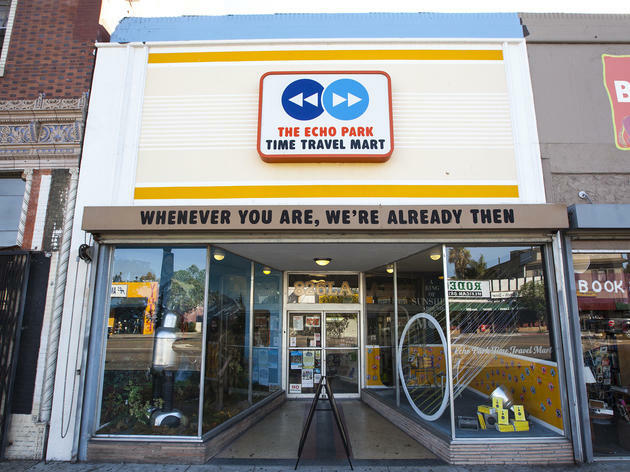 At first glance, the inside of this storefront resembles any other market in the area—but look closer and you’ll find a collection of “time travel” curiosities that one might need in order to visit the distant past or future. For example, Robot Toupees, Barbarian Repellent, Primordial Soup In a Can and vast collection of books. What gives? 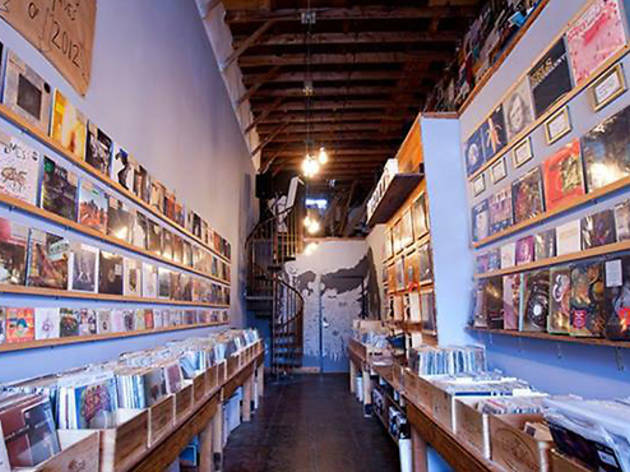 The place is a cover business: While everything in it is indeed for sale, the store is actually a front for 826LA, a literary nonprofit founded by author Dave Eggers which sits just behind the shop. Hot tip: If you come up with a cool idea for a product to sell in the mart, employees will help you design it for sale to the public, which might spur others to drop some dough and thus contribute to this awesome nonprofit. 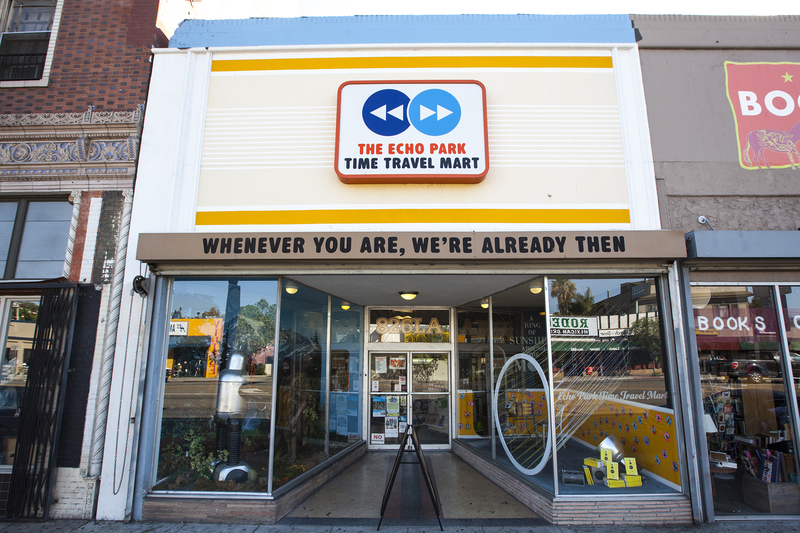 The Time Travel Mart is one of seven themed stores from 826 National, including Brooklyn's Superhero Supply Co. and DC's Museum of Unnatural History. 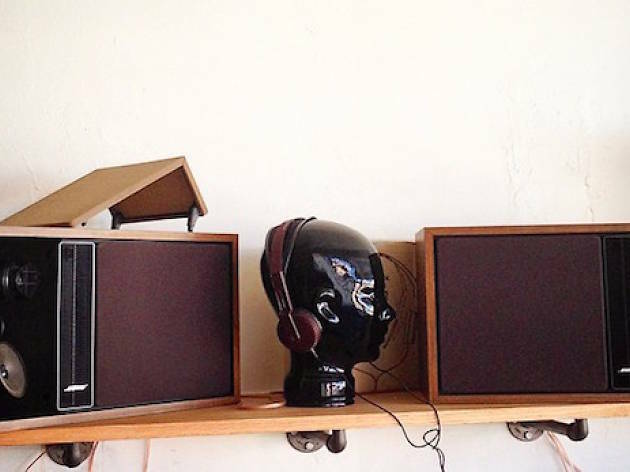 We can't remember an Echo Park before audiophile husband-and-wife duo Jen and Oscar Carpinteyro opened their doors at this vintage audio gear boutique on Alvarado. (It was only 2010, but seriously, what did we do before then)? 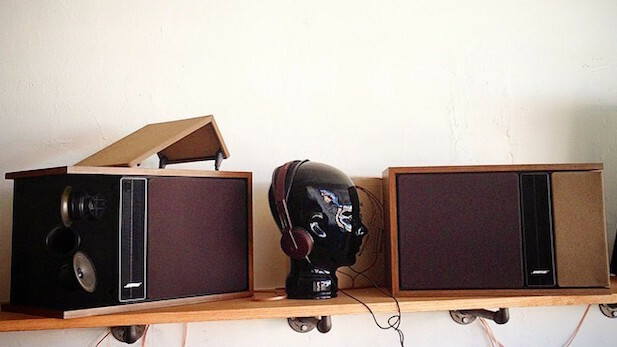 The shop specializes in buying, selling and renting throwback audio equipment of all kinds, from '70s turntables and '80s boomboxes to mixers, receivers, amps and more from virtually any era. Style-minded music geeks can invest in a one-of-a-kind, Brady Bunch-era stereo, while indie film directors can rent a whole room's worth of mid-century style hardware for a day's shoot. To buy, prices range from a couple hundred to several thousand for a real showstopper. Looking to play dress up? Take a spin around this time machine of a boutique, which offers vintage menswear, womenswear and accessories from across the decades. Dress the cast of your Dreadstock film in a potpourri of wildly patterned silk tops, or punctuate your everyday wardrobe with a pair of vintage leather gloves or designer drop earrings. Halloween costume shoppers and vintage aficionados alike will enjoy flicking through the racks of colorful throwback merch. The wackily awesome merchandise found within this tyrannically pink Echo Park boutique does not clear up the equally bizarro name. But that might be the point, and we're into it. Guarded by a giant unicorn head mounted over the front door like a gargoyle sprinkled with pixie dust, the shop vends an explosion of glittery, girl-powery goodies from scrunchies and butterfly clips (displayed on a giant wall of hair, obvi) to brightly colored '90s-esque apparel. The place is owned by Omaha transplants Anna and Tina, who brought their love of fuchsia and pussycats with them (the store phone doesn't ring, it meows). 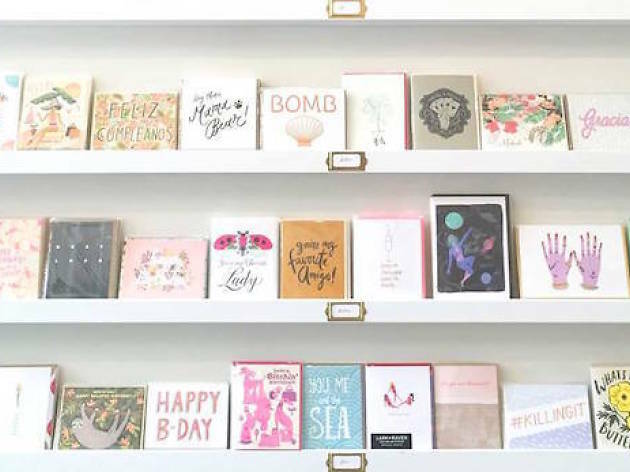 The shop kind of reads like a personification of Miley Cyrus' Instagram account, and if that analogy doesn't make sense to you, then likely neither will The Dog Show USA. 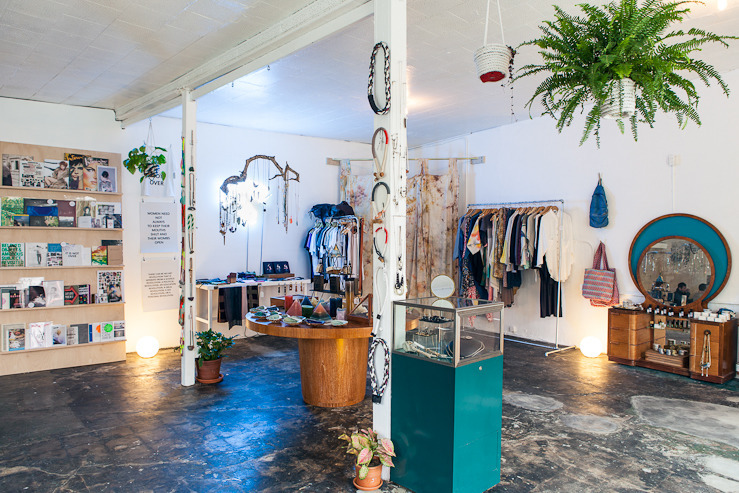 Opened on Sunset Boulevard in 2014 "to help bridge the gap between artists and art enthusiasts," this cozy, psycheledic boutique curates a smorgasbord of independently made goodies from original artwork, clothing and jewelry to self-published books and knick knacks. (Think: greeting cards reading "Yaaaaasss Queen," tea saucers sporting the phrase "Chicks Before Dicks" and handmade candles with scents like "Favorite Hoodie"). 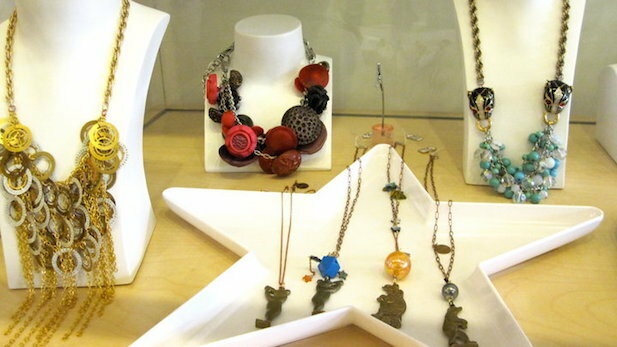 The shop doubles as a gallery, displaying an exhibition of local artists, which changes every two months. It also serves as a music venue for up-and-coming acts during local fests.